NHL 15 is the first title in a new generation of hockey video games that boldly changes everything you know about the award-winning franchise. Experience the hard-hitting chaos and unpredictability of the sport as real-world physics are extended to all 12 players on the ice, as well as the puck itself. Look, move, play, and think like a real hockey player with all-new authentic player modelling and an evolved arsenal of tools, including the superstar skill stick and vision AI that allow for an unprecedented level of control and elevated player intelligence. Take in the emotion of every play as you immerse yourself in authentic arenas across the National Hockey League. You'll play in front of a full house of fans created with 9,000 dynamic and individual crowd models, the most ever in a sports video game. 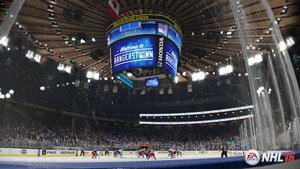 Finally, witness the most realistic broadcast package to date, as NHL 15 overhauls the look of the game with the new NBC Sports Game Day Presentation featuring the commentary team of Mike "Doc" Emrick and Eddie Olczy. TSN analyst Ray Ferraro will also provide insights at ice level. Real-world physics affect every player through every on-ice collision. The next-generation hockey player has been rebuilt from the ice up. For the first time, real-world physics affect every player through every on-ice collision with the new 12 player NHL collision physics. Utilising the power of the new consoles, and building off the critically-acclaimed NHL collision physics system, every player on the ice is governed by physics at all times. Feel the hard-hitting chaos of NHL hockey through true-to-life secondary collisions, net scrambles, and player pileups, capturing the desperation of every shift. The next-generation hockey player has been rebuilt from the ice up. 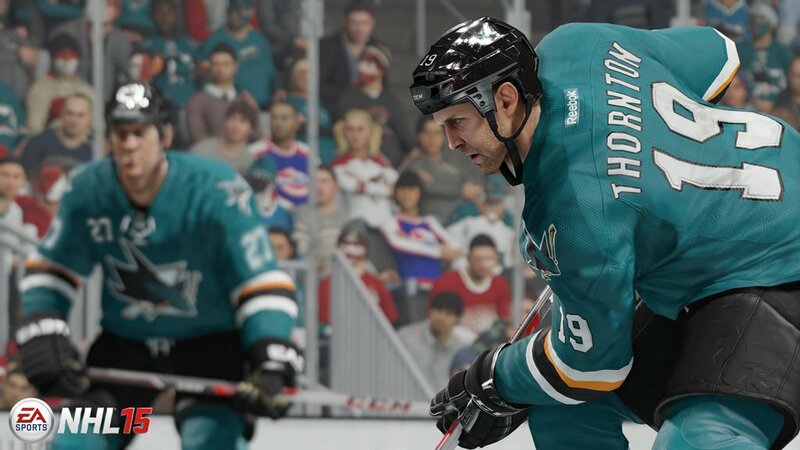 Now player models have three distinct layers – the body, equipment, and jersey. Each layer interacts independently, making every contact with the puck or other players even more realistic. Dynamic cloth technology adds an extra layer of realism as it reacts to the player's movement as they explode up the ice, helping bring the speed of the game to life. Powered by the same technology that brought the most realistic representation of the athlete to EA Sports UFC, NHL 15 delivers groundbreaking player likeness, emotion, and animation. From the strides a player takes to get across the ice to the emotion on their face after scoring a game-winning goal, the players are as real as they've ever been. Now all the tools of an NHL superstar are in your hands. The revolutionary skill stick has evolved to give even more control to the player. Protect the puck, receive passes without breaking stride, and discover an arsenal of new dekes, all with an intuitive right stick control scheme that is easy to use but packed with depth. Delivers groundbreaking player likeness, emotion, and animation. More than 9,000 individual crowd models, all animated – the crowd is alive. New voices for a new generation. 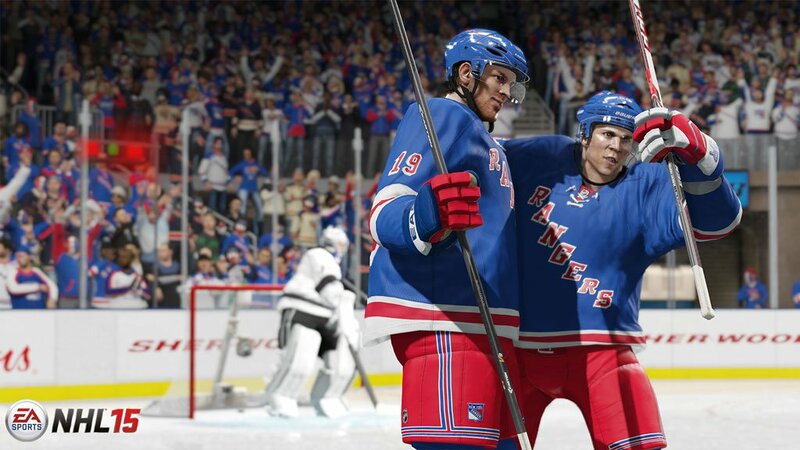 NHL 15 welcomes the NBC Sports commentary team of Mike "Doc" Emrick and Eddie Olczyk to the broadcast booth. TSN analyst Ray Ferraro will provide game insights at ice level. Leveraging the same vision AI foundation that the players have, and just like a live broadcast, Doc, Eddie, and Ray will anticipate plays and ramp up their intensity to match the action on the ice with more than 35,000 lines of brand-new commentary. When it is said that Doc and Eddie are in the game, it is really meant that they are in the game. Taking commentary integration to the next level, NHL 15 will feature real world pre-game video commentary with Doc and Eddie. 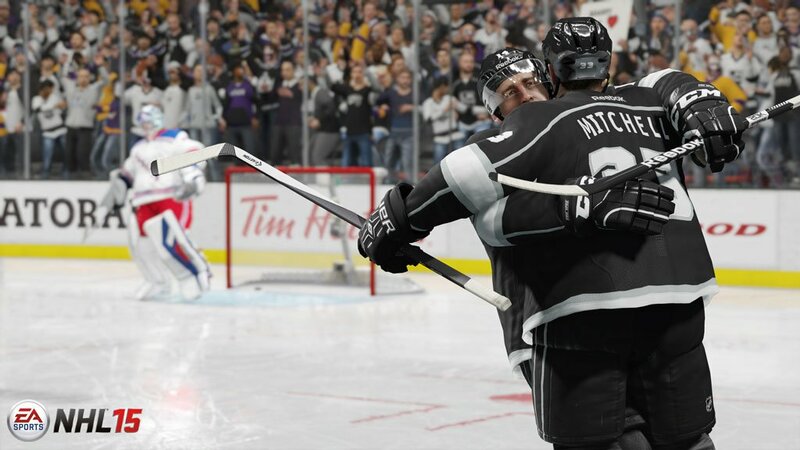 Set against NHL 15 in-game visuals, the result is a revolutionary step forward in sports video games, where the lines between the real world of sport broadcast and the game are blurred. NHL 15 sets a new standard in video games with more than 9,000 individual crowd models with four times the animations of previous generations. Take a look through the glass and you'll see fans hold up signs with your name on them, costume wearing superfans, or even sections full of team rivals rooting against you. The crowd is alive. Feel the crowd behaviour change after dropping the gloves, landing a big hit, or scoring a clutch goal. Individual behaviours are mapped to each person in the crowd, as they anticipate the play, taunt players, clap to music from the dynamic Jumbotron or even take a quick break from the action to snap a selfie and immortalise their experience. There is no feeling like being there, and we are giving you the best seats in the house. The power of the next-gen consoles finally allows the NHL franchise to capture every detail of an NHL arena. 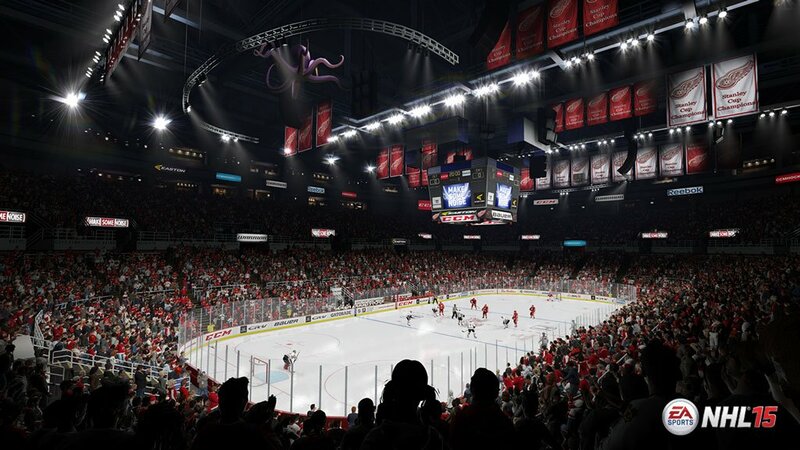 Unique arena elements from more than 19,000 seat capacities to lighting and player entrance tunnels are captured with a level of detail not possible on the previous generation. Now those home games will truly feel like home.